Dünyadaki tüm .php açıkları burada ! Herkeze Merhaba Umarım Sabit Olur ! module_db.php? pivot_path = module_db.php? pivot_path = "
/ Classes / adodbt / sql.php? Classes_dir = / classes / adodbt / sql.php? Classes_dir = "
send_reminders.php? includedir = "send_reminders.php? includedir ="
/ Bileşen / com_cpg / cpg.php? MosConfig_absolute_path = com_cpg "
/ Bileşen / com_simpleboard / image_upload.php? SKB = com_simpleboard "
bileşenleri / com_simpleboard / image_upload.php? SKB = com_simpleboard "
. Php? Benim = "
. Php? A = "
. Php? F = "
. Php? Z = "
. Php? Zo = "
. Php? La = "
. Php? Perma = "
. Php? Item_id = "
. Php? F_content = "
. Php? From = "
. Php? Mid = "
. Php? Diye = "
. Php? Doğusunda = "
* / Newbb / print.php? Forum = * Topic_id = * "
* / Newbb_plus / * = "
* / News / archive.php? Op = * Yıl = * ay = * "
. Php? Abrir = "
. Php? Act = "
. Php? Action = "
. Php? Reklamı = "
. Php? Arşivi = "
. Php? Alanı = "
. Php? Makale = "
. Php? B = "
* / Tsep / / colorswitch.php içerir? Tsep_config [absPath] = * "
. Php? Geri = "
. Php? Üssü = "
. Php? Basedir = "
. Php? Bbs = "
. Php? Board_no = "
. Php? Body = "
. Php? C = "
. Php? Cal_dir = "
. Php? Cat = "
/ / Mx_functions_ch.php içerir? Phpbb_root_path = "
/ Modules / MyGuests / signin.php? _AMGconfig [Cfg_serverpath] = "
. Php? _REQUEST = & _REQUEST [Seçenek] = com_content & _REQUEST [Itemid] = 1 & GLOBALS = & mosConfig_absolute_path = "
. Php? Bölmeli = "
. Php? Subdir = "
. Php? Kategori = "
. Php? Seçim = "
. Php? Class = "
. Php? Club_id = "
. Php? Cod.tipo = "
. Php? Morina = "
. Php? Conf = "
. Php? ConfigFile = "
. Php? Cont = "
. Php? Corpo = "
. Php? Cvsroot = "
. Php? D = "
. Php? Da = "
. Php? Tarih = "
. Php? Debug = "
. Php? Ilk = "
. Php? Default = "
. Php? Destino = "
. Php? Dir = "
. Php? Ekran = "
. Php? File_id = "
. Php? File = "
. Php? Dosyayolu = "
. Php? Flash = "
. Php? Klasörü = "
. Php? = Için "
. Php? Form = "
. Php? Formatword = "
. Php? Funcao = "
. Php? Fonksiyonu = "
. Php? G = "
. Php? Olsun = "
. Php? Go = "
. Php? GorumDir = "
. Php? Goto = "
. Php? H = "
. Php? Başlık = "
. Php? I = "
. Php? Inc = "
. Php? Include = "
. Php? Includedir = "
. Php? Arası = "
. Php? Itemid = "
. Php? J = "
. Php? Katılmak = "
. Php? Jojo = "
. Php? L = "
. Php? Lan = "
. Php? Lang = "
. Php? Link = "
. Php? Yük = "
. Php? Loc = "
. Php? M = "
. Php? Ana = "
. Php? Meio.php = "
. Php? Meio = "
. Php? Menu = "
. Php? MenuID = "
. Php? Mep = "
. Php? Ay = "
. Php? Mostra = "
. Php? N = "
. Php? Name = "
. Php? Nav = "
. Php? Yeni = "
. Php? Haber = "
. Php? Sonraki = "
. Php? Nextpage = "
. Php? O = "
. Php? Op = "
. Php? Açık = "
. Php? Seçenek = "
. Php? Origem = "
. Php? Page_id = "
. Php? Pageurl = "
. Php? Para = "
. Php? Parçası = "
. Php? Pg = "
. Php? Pid = "
. Php? Yer = "
. Php? Oyun = "
. Php? Eklentisi = "
. Php? Pm_path = "
. Php? Pollname = "
. Php? Post = "
. Php? pr = "
. Php? Prefix = "
. Php? Prefixo = "
. Php? Q = "
. Php? Redirect = "
. Php? Ref = "
. Php? Refid = "
. Php? BölgeNo = "
. Php? Release_id = "
. Php? Release = "
. Php? Dönüş = "
. Php? Root = "
. Php? S = "
. Php? Searchcode_id = "
. Php? Sn = "
. Php? Secao = "
. Php? Mezhep = "
. Php? Sel = "
. Php? Sunucu = "
. Php? Servico = "
. Php? Sg = "
. Php? Shard = "
. Php? Gösterisi = "
. Php? Sid = "
. Php? Site = "
. Php? Sourcedir = "
. Php? Start = "
. Php? Storyid = "
. Php? Str = "
. Php? Subject = "
. Php? Sufixo = "
. Php? Systempath = "
. Php? T = "
. Php? Task = "
. Php? Teste = "
. Php? Theme_dir = "
. Php? Thread_id = "
. Php? Tid = "
. Php? Title = "
. Php? Için = "
. Php? Topic_id = "
. Php? Type = "
. Php? U = "
. Php? Url = "
. Php? UrlFrom = "
. Php? V = "
. Php? Var = "
. Php? Vi = "
. Php? View = "
. Php? Görsel = "
. Php? WPage = "
. Php? Y = "
[Script Path] / admin / index.php? O = admin / index.php "
/ Admin / index.php? O = admin / index.php "
index.php? menu = deti & page = index.php? menu = deti & page "
/ Classes / adodbt / sql.php? Classes_dir = "index2.php? Option = rss"
bileşenleri / com_phpshop / toolbar.phpshop.html.php? mosConfig_absolute_path = "com_phpshop"
SQuery / lib / gore.php? LIBPATH = "/ SQuery /"
m2f/m2f_phpbb204.php? m2f_root_path = / m2f_usercp.php? wamp_dir / setup / yesno.phtml? no_url = "setup"
bileşenleri / com_forum / download.php? phpbb_root_path = "com_forum"
index.php? p = "/ index.php? p = *. php"
index.php? pag = "/ index.php? pag = *. php"
template.php? page = "/ template.php? page = *. php"
main.php? page = "/ main.php? page = *. php"
index2.php? pag = "/ index2.php? pag = *. php"
home.php? pag = "/ home.php? pag = *. php"
index.php? page = "/ index.php? page = *. php"
default.php? page = "/ default.php? page = *. php"
inc / cmses / aedatingCMS.php? dir [inc] = "Flashchat"
/ Inc / irayofuncs.php? Irayodirhack = "/ inc /"
? account.php action = iurl: "? account.php action ="
account.php action = iurl:? ".? php action ="
accounts.php? komut =. php? komut = "
. Php? P = "
announcements.php? phpraid_dir = "phpraid kayıt"
auto.php? inc =. php? inc = "
base.php? f1 = base.php? f1 = "
base.php? f1 =. php? f1 = "
/ Calendar.php? L = calendar.php? L = "
/ Calendar.php? P = calendar.php? P = "
/ Calendar.php? Pg = calendar.php? Pg = "
/ Calendar.php? S = calendar.php? S = "
/ Addpost_newpoll.php? Addpoll = preview & thispath = / ubbthreads / "
/ Addpost_newpoll.php? Addpoll = preview & thispath = "/ ubbthreads /"
/ Addpost_newpoll.php? Addpoll = preview & thispath = "ubbthreads"
administrator / components / com_remository / admin.remository.php? mosConfig_absolute_path = "com_remository"
administrator / components / com_remository / admin.remository.php? mosConfig_absolute_path = "Mambo"
/ Administrator / components / com_serverstat / inst.serverstat.php? MosConfig_absolute_path = "com_serverstat"
canal.php? Meio =. php? Meio = "
/ Classes / adodbt / sql.php? Classes_dir = "adobt"
/ Classified_right.php? Language_dir = "classified.php"
/ Classified_right.php? Language_dir = "phpbazar"
/ Coin_includes / constants.php? _CCFG [_PKG_PATH_INCL] = "PhpCOIN 1.2.3 powered by"
/ Bileşen / com_extended_registration / registration_detailed.inc.php? MosConfig_absolute_path = "com_extended_registration"
/ Bileşen / com_facileforms / facileforms.frame.php? Ff_compath = com_facileforms "
/ Bileşen / com_facileforms / facileforms.frame.php? Ff_compath = "com_facileforms"
bileşenleri / / performs.php com_performs? mosConfig_absolute_path = "com_performs"
/ Bileşen / com_zoom / / database.php içerir? MosConfig_absolute_path = "com_zoom"
/ Bileşen / com_zoom / / database.php içerir? MosConfig_absolute_path = "index.php? Option =" com_zoom "
content.php? page = "content? page = *. php"
/ Embed / day.php? Yol = "Takvim"
? / Embed / day.php yol = intitle: "Giriş Takvim için"
/ Embed / day.php? Yol = "Takvim Giriş"
/ Embed / day.php? Yol = "WebCalendar"
enc / content? Home_Path = "doodle"
enc / content? Home_Path = "doodle sepeti"
enc / content? Home_Path = "doodle sepeti powered by"
/ Header.php? Abspath = "MobilePublisherPHP"
impex / ImpExData.php? systempath = "vbulletin"
/ / Dbal.php içerir? Eqdkp_root_path = "EQdkp"
/ / Dbal.php içerir? Eqdkp_root_path = "EQdkp powered by"
/ / Kb_constants.php içerir? Module_root_path = "Base"
/ / Kb_constants.php içerir? Module_root_path = "Bilgi"
/ / Kb_constants.php içerir? Module_root_path = "Bilgi Bankası"
index1.php? = "index1.php? = *. php? index2.php? = "index2.php? = *. php?" index.php? body = "index.php? body ="
index.php? go1 = "index.php? go1 ="
index.php? = go "index.php? go ="
index.php? pageurl = "index.php? pageurl ="
index.php? pageurl = "index.php? pageurl = *. php"
index.php? pagina1 = "index.php? pagina1 ="
index.php? pagina = "index.php? pagina ="
index.php? pagina = "index.php? pagina = *. php"
index.php? site1 = "index.php? site1 ="
index.php? site = "index.php? site ="
index.php? var1 = "index.php? var1 ="
index.php? var = "index.php? var1 ="
index.php? var = "index.php? var2 ="
index.php? var = "index.php? var = *. php"
/ Login.php? Dir = "login.php? Dir ="
main.php? id = "main.php? id = *. php"
/ Main.php? Sayfa = "main.php? Sayfa ="
/ Mcf.php? Içeriği = mcf.php "
mcf.php? içeriği = mcf.php "
/ Modules / TotalCalendar / about.php? Inc_dir = "TotalCalendar"
/ Modules / admin / vwar / admin.php? Vwar_root = "vwar"
PHPwcms / include / inc_ext / spaw / dialogs / table.php? spaw_root = "index.php? id ="
PHPwcms / include / inc_ext / spaw / dialogs / table.php? spaw_root = "PHPwcms / index.php? id ="
skins/advanced/advanced1.php? pluginpath  = "Sabdrimer CMS"
skins/advanced/advanced1.php? pluginpath  = skins/advanced/advanced1.php? pluginpath  = "CMS"
skins/advanced/advanced1.php? pluginpath  = skins/advanced/advanced1.php? pluginpath  = "Sabdrimer CMS"
/ Deri / zero_vote / error.php? Dir = "deri / zero_vote / error.php"
/ Kaynaklar / functions.php? CONFIG [main_path] = "(ScozNews Powered By)"
/ Kaynaklar / functions.php? CONFIG [main_path] = "ScozNews Powered By"
/ Kaynaklar / functions.php? CONFIG [main_path] = "ScozNews"
/ Kaynaklar / join.php? FORMU [url] = mülkiyetinde & CONFIG [Captcha] = 1 & CONFIG [path] = "Aardvark"
/ Kaynaklar / join.php? 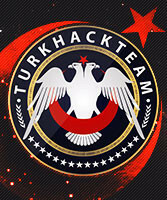 FORMU [url] = mülkiyetinde & CONFIG [Captcha] = 1 & CONFIG [path] = "Aardvark TopSites"
/ Kaynaklar / join.php? FORMU [url] = mülkiyetinde & CONFIG [Captcha] = 1 & CONFIG [path] = "Aardvark Topsites PHP 4.2.2 Powered By"
/ Kaynaklar / template.php? CONFIG [main_path] = "(ScozNews Powered By)"
/ Kaynaklar / template.php? CONFIG [main_path] = "ScozNews"
/ Anket / survey.inc.php? Yol = "anketleri"
? / Tags.php BBCodeFile = intitle: "Tagger LE"
/ Tags.php? BBCodeFile = "Tagger LE"
/ Tags.php? BBCodeFile = "tags.php"
/ Templates / headline_temp.php? Nst_inc = 'füzyon "
/ Templates / headline_temp.php? Nst_inc = "fusion"
/ Templates / headline_temp.php? Nst_inc = "yönetim"
/ Templates / headline_temp.php? Nst_inc = "haber"
/ Templates / headline_temp.php? Nst_inc = "sistem"
/ Tools / send_reminders.php? Includedir = "day.php? Tarih ="
/ Ws / get_events.php? Includedir = "/ WebCalendar /"
/ Ws / get_events.php? Includedir = "WebCalendar"
/ Zipndownload.php? PP_PATH = "PhotoPost"
/ Zipndownload.php? PP_PATH = "PhotoPostP"
/ Zipndownload.php? PP_PATH = "PhotoPost PHP"
/ Zipndownload.php? PP_PATH = "PhotoPost PHP 4.6"
/ Zipndownload.php PP_PATH = "Powered by PhotoPost PHP 4.6"? content.php? inc =. php? inc = "
default.php? vis =. php? vis = "
define.php? vadeli =. php? vadeli = "
detail.php? eşya =. php? eşya = "
display.php? page = display.php? page = "
display.php? page =. php? sayfa = "
display.php? page = & lang = display.php? page = "
display.php? page = & lang =. php? sayfa = "
download.php? alt = "download.php? alt ="
experts.php? alt = "experts.php? alt ="
frag.php? exec = frag.php "
frag.php? exec = frag.php? exec = "
frag.php? exec =. php? exec = "
frame.php? loc =. php? loc = "
galerie.php? do =. php? do = "
glossary.php? vadeli =. php? vadeli = "
handlinger.php? vis =. php? vis = "
home.php? a = home.php? a = "
home.php? a =. php? a = "
home.php? act = "home.php? act ="
home.php? func =. php? func = "
home.php? i = "home.php? i ="
home.php? inc = "home.php? inc ="
home.php? = ltr. php? ltr = "
home.php? oturup =. php? oturup = "
img.php? loc = img.php? loc = "
img.php? loc =. php? loc = "
inc.php? inc =. php? inc = "
index1.php? func =. php? func = "
index1.php? inc =. php? inc = "
index1.php? lk =. php? lk = "
index1.php? = ltr. php? ltr = "
index1.php? page = index1.php? page = "
index1.php? p =. php? p = "
index1.php? p =. php? pag = "
index1.php? p =. php? sayfa = "
index1.php? p =. php? pg = "
index1.php? s = index1.php? s = "
index1.php? göstermek = index1.php? gösterisi = "
index1.php? gösterisi =. php? gösterisi = "
index2.php? c = index2.php? c = "
index2.php? c =. php? c = "
index2.php? cont = index2.php? cont = "
index2.php? devam =. php? cont = "
index2.php? içeriği = index2.php? cont = "
index2.php? içeriği = index2.php? content = "
index2.php? içeriği =. php? content = "
index2.php? inc =. php? inc = "
index2.php? l =. php? l = "
index2.php? lg = index.php? lg = "
index2.php? lk =. php? lk = "
index2.php? ln = index.php? ln = "
index2.php? ln =. php? ln = "
index2.php? lng = index.php? lng = "
index2.php? s = index2.php? s = "
index2.php? s =. php? s = "
lDeanl, LiDeR-41, esesliek, mechengineer, medyahacker Teşekkür etti. üşenmemişsin saol ama nasıl kullanılacak benim alanım değil.Açıklarsan sevinirim. Benden bukadar ,demiştim gerisini siz düşünün. Gördüğün gerçek mi? Duyduğun gerçek mi? Sen misin var olan, yoksa Allah mı seni var eden? Sayende 1600 taneyi geçik açık buldum. Eyvallah kolay gelsin inşallah işinize yarar. gereksiz konu. ne demek tüm php açıkları?